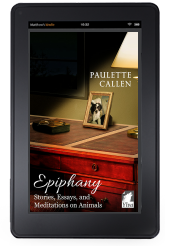 Home / Authors / Paulette Callen"
Paulette Callen’s first novel Charity was published by Simon and Schuster in 1997. 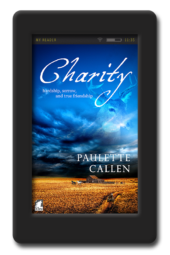 Since then, she has written three other novels: Command of Silence, Death Can Be Murder, and Fervent Charity (the sequel to Charity, published late summer 2013, along with a re-issue of Charity, by Ylva Publishing). Her poems, articles, and short stories have appeared in small journals, magazines, and anthologies. The poem “See, Nadia!” was included in Beyond Lament, Poets of the World Bearing Witness to the Holocaust (Northwestern University Press) and was subsequently selected by artist Carol Rosen for inclusion in her Holocaust Series, an eight-book collection of photo/text collages housed in the Whitney Museum, the Simon Wiesenthal Center, and the University of Tel Aviv. 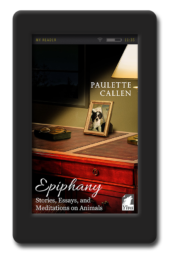 Paulette’s employment history includes the Communications Department of a large corporation, a movie theatre, a bank, the gift industry, the ASPCA, the insurance sector, as well as summer stock theatres and a year-long stint with a comedy improvisation company. For nearly four years, she served as a volunteer staff member for POWARS (Pet Owners with Aids Resource Services) in New York City. After many years as a resident of Manhattan’s Upper West Side, she has returned, with her rescued blind Shih Tzu Lily, to her hometown in South Dakota.